Foot-and-mouth disease (FMD) is a viral animal disease that affects animals with cloven (or divided) hooves, such as cattle, swine, sheep, goats and deer. The disease poses a severe economic risk to the agricultural and food industry, but does not impact humans. The U.S. Food and Drug Administration, the U.S. Centers for Disease Control and Prevention and the World Health Organization agree that FMD is not a threat to food safety or public health, and does not affect the safety of meat or milk sold in supermarkets and restaurants. FMD is severe among the animals it affects and reduces the animals' appetites, which can hinder their ability to maintain weight. An outbreak would have significant and negative economic impacts on meat production and availability. FMD is not the same as Hand, Foot and Mouth Disease (HFMD), a common childhood illness caused by a very different virus. It is also not the same as bovine spongiform encephalopathy (BSE), commonly known as “mad cow disease.” Pets, such as dogs or cats, and other animals without cloven hooves are not susceptible to FMD. 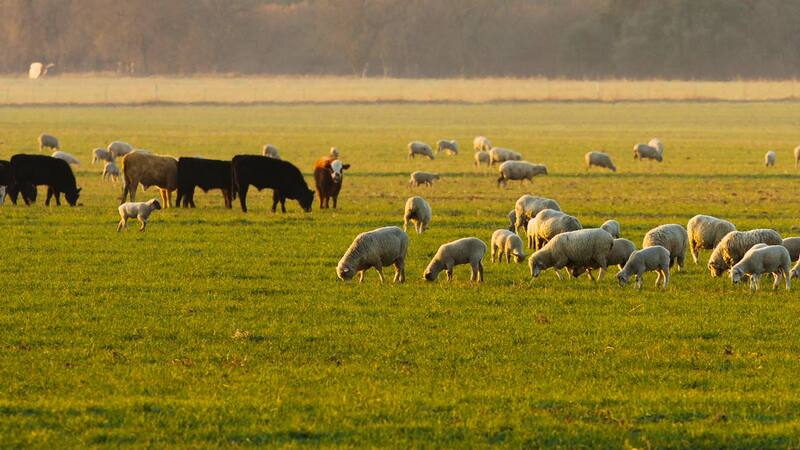 Efforts are currently in place to protect herds and the environment, such as continuously monitoring for FMD in the United States and around the world. The USDA Animal and Plant Health Inspection Service (APHIS) works with Customs and Border Protection to screen for products that could carry the FMD virus at ports of entry. Any imports of susceptible animals or animal products from FMD-affected countries are prohibited. Check out our resources and frequently asked questions to learn more about FMD.